DriveVR Virtual Reality App Development - Gooii: Award Winning Website Design & App Development Nottingham. iPhone, iPad & Android Apps. Virtual Reality & Augmented Reality. DriveVR is the first iPhone and Android virtual reality app development of its kind. DriveVR allows you to safely explore real-life driving situations via fully immersive VR. Your decisions could change your character’s life and the lives of everyone around them forever. Gooii’s role in the development of this innovative VR app includes: App concept and content creation, design and photography and iOS and Android app programming. We produced the Virtual Reality video segments in association with our client The Safer Roads Partnership, part of the Worcestershire and West Mercia police force. 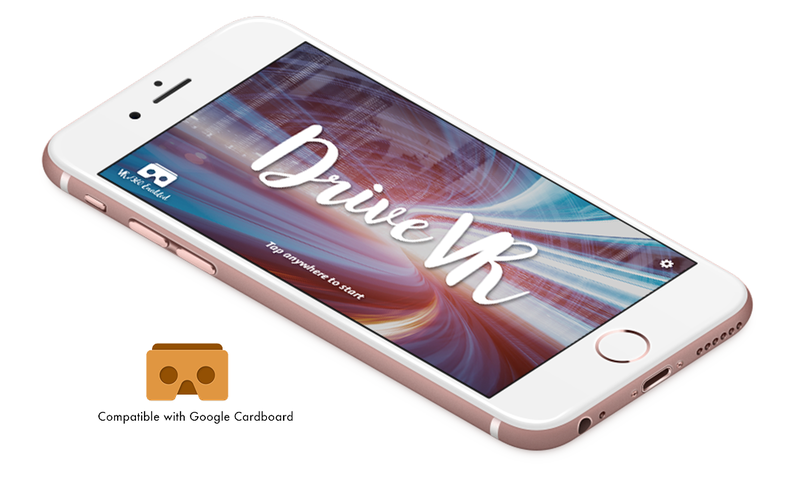 The Drive VR virtual reality app works with ‘Google Cardboard’ compatible headsets, readily available from as little as a pound. The app is fully functional without a headset, using a compatible iOS or Android mobile device.